10 Fidelio, Op.72, Act I: Abscheulicher! 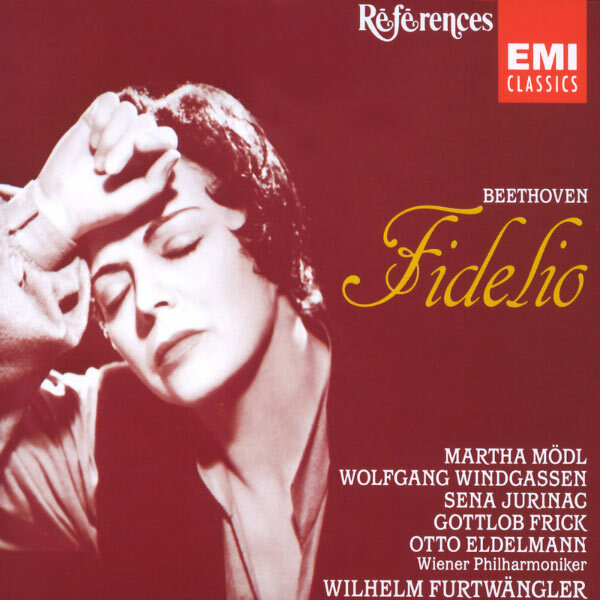 11 Fidelio, Op.72, Act I: O, welche Lust! 12 Fidelio, Op.72, Act I: Nun sprecht, wie ging's? 13 Fidelio, Op.72, Act I: Ach! Varter, eilt! 2 Fidelio, Op.72, Act II: Gott! Welch Dunkel hier! 3 Fidelio, Op.72, Act II: Wie kalt ist es in diesem unterirdischen Gewolbe! 6 Fidelio, Op.72, Act II: Er sterbe! 7 Fidelio, Op.72, Act II: Vater Rocco! 8 Fidelio, Op.72, Act II: O namenlose Freude! 1954 The copyright in this sound recording is owned by EMI Records Ltd. Digital remastering 1992 by EMI Records Ltd.